You can produce high-quality photo ID badges. The most popular ways of wearing ID badges are strap clips and lanyards. 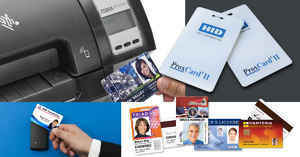 ID Security Online can supply the cards, clips, lanyards, and other badge accessories also. Providing employees with ID cards creates an effective and efficient system that saves money and time. A company's staff represents the business's public image. You want to do all you can to create a professional demeanor. 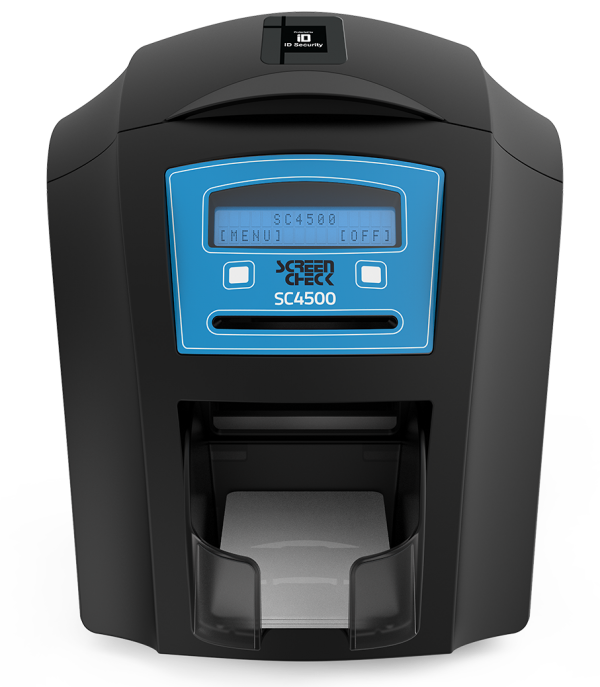 The ScreenCheck SC4500 ID card printer is reliable. Health clubs and casinos that use the ScreenCheck need reliable ID cards to protect business security. Every card printed on the SC4500 has HoloKote visual security. HoloPatch cards allow a highlighted watermark as a visible security seal. Other encoding options that include smart card in-line and magnetic strip are available for additional electronic security. The printer can produce single or double-sided cards. An upgrade is available that allows duplex printing that has a drop-in field enhancement. 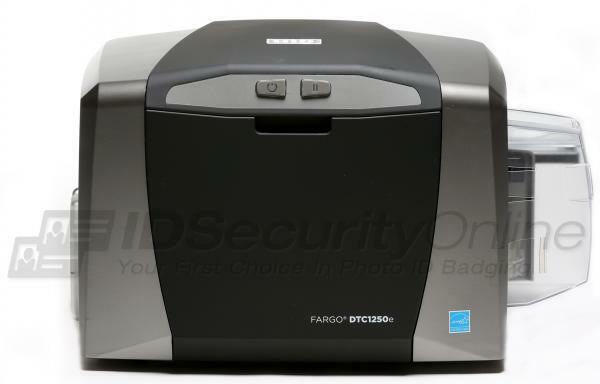 The Fargo DTC1250e is an affordable card printer, great for local governments, schools, and small to moderate size businesses. It is Energy-Star Rated and has EZ ribbon cartridges, cleaned with a built-in roller. 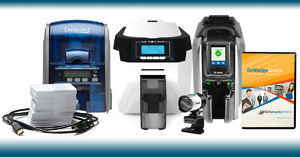 The intuitive interface has lots of customizable printer and encoding options. The product available from ID Security Online is a dual-sided version. 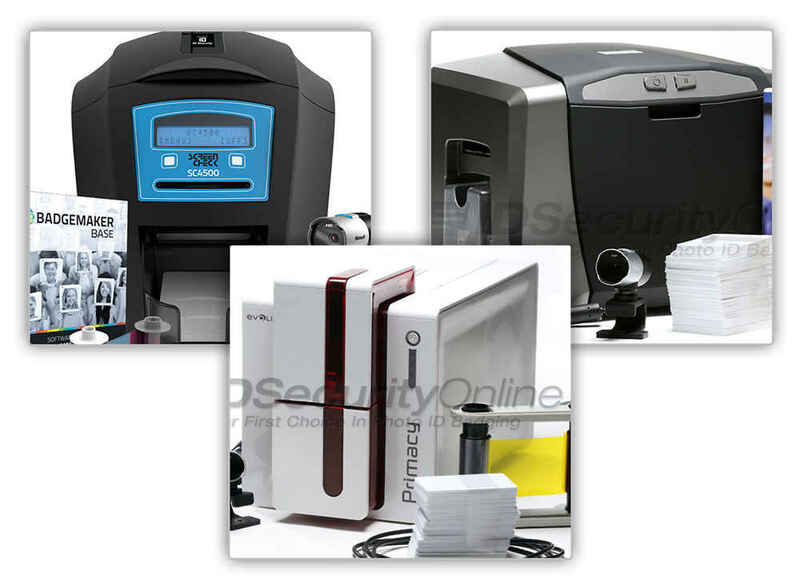 It can be customized to meet your card printing needs. The compact, smart footprint makes use in a variety of environments easy. An optional Wi-Fi accessory is available that eliminates a tangle of cords. The graphical display is a user-focused, intuitive SmartScreen that enables efficient set-up, operation, and maintenance. 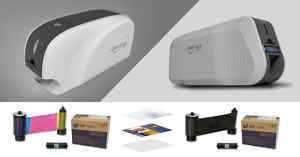 It is backed by a three-year warranty on the printer and printhead. 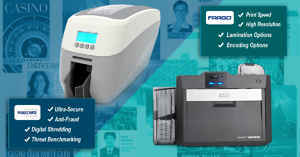 The fast print speed minimizes wait time as it prints great-looking, durable ID cards and badges. 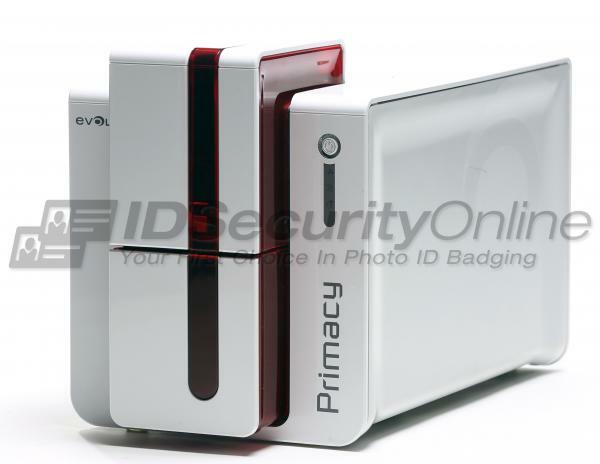 The Evolis Primacy is ideal for printing large runs. They are used for employee ID cards, access control badges, and event passes. Color cards are personalized in record time. As many as 225 single-sided or 140 dual-sided cards can be printed per hour. Time is saved, and productivity increased. 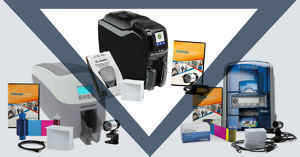 Optimal print quality is produced by the edge-to-edge printing and 300-dpi graphics resolution and features. The cards present a professional organization image. Checking cards as they are printed is possible with the card feeder and output tray that are accessible on the front side of the printer. Ethernet connectivity and magnetic encoding are standard features. The magnetic coding allows photo ID cards to be used as gift cards, access control cards, and much more. The printer is available in blue or red.